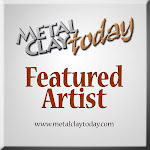 I'm a big admirer of Hadar Jacobson's magnificent work in metal clay. She has a unique and wonderful style that it's very inspiring. I always knew one day I will meet her and see her work in person and that day became reality this past weekend. She came to San Antonio, Texas to teach a workshop and I signed up for it as soon as I found out. Her work is beautiful and I was so excited to see it ! 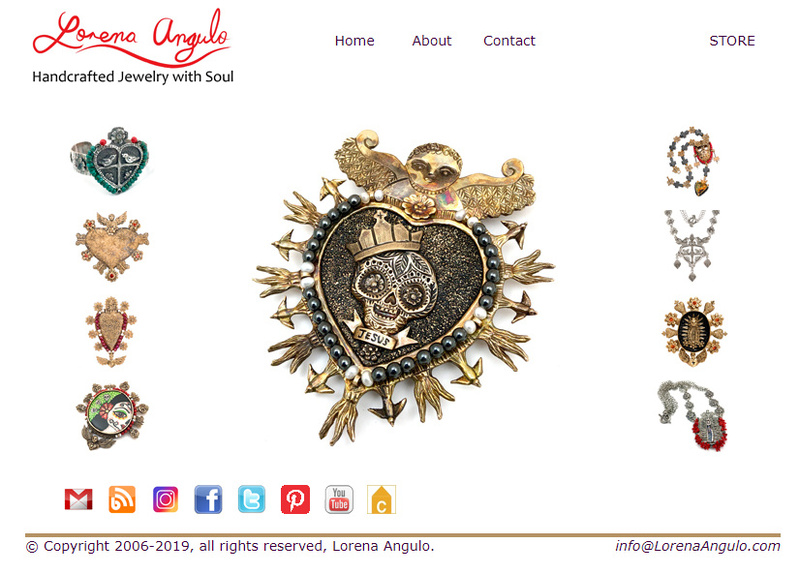 The craftsmanship and artistic style in her pieces is fantastic and she is a very sweet and kind person. Listening to her talk about her big passion for metal clays and all the experimentation she has done and continues to do, was the best part of the class. 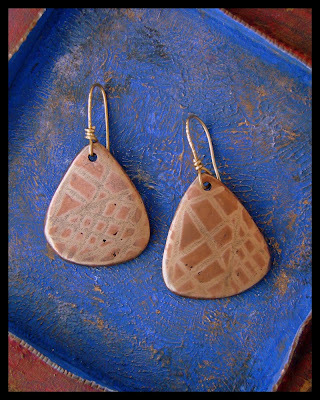 The first project we did was to create a piece with her copper clay leaving in our designs little holes that we will use after the piece was fired to add our silver clay details like as if we were doing a rivet. This technique is called hot riveting because we fired the silver clay with a torch into our copper piece that was already fired in the kiln. I really like this technique but after I fired both clays I did notice my silver pieces will be to heavy for my earrings. I have a better understanding now, next time I will put together a better proportioned piece. In this photo you can see the front and back side of the earring. I hand carved the copper clay piece first, and hand formed and carved the tree trunk and leaves. This copper piece was fired in the kiln and after that we cleaned it and started to add the silver. 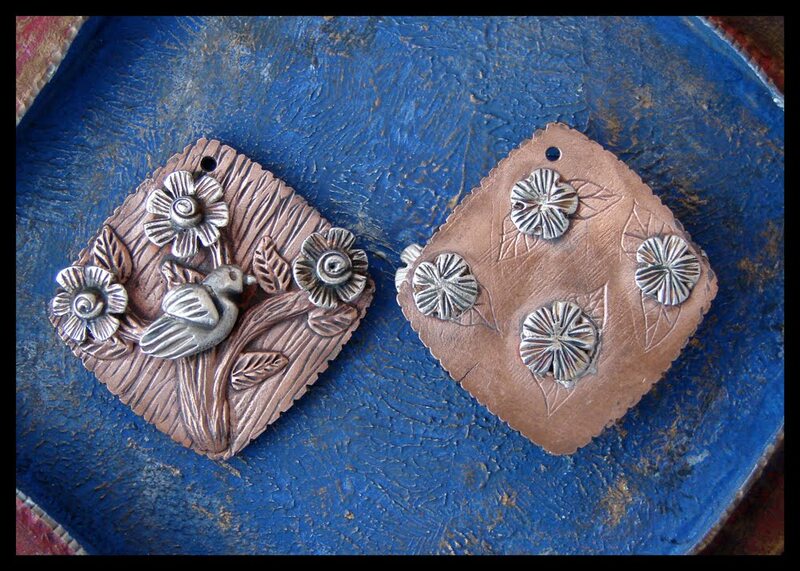 I hand formed the bird and flowers letting them dry, then I added fresh silver clay into the holes of the copper background to start creating the rivet, and then added the dried silver pieces with their back parts pressing them in between the fresh clay in the holes. Our last project was to inlay bronze clay with copper clay. In this technique we fired the two clays at the same time in the kiln. I really enjoyed the class and learning how to finish up the pieces. I usually do not use this type of finishing in my work and it was very interesting to see how she does it. It was great to meet new friends and see old friends again during this weekend. I was specially happy to see Vickie Hallmark, she is such a fantastic artist and person. Love you Vickie !! You are such a strong woman ! It was great to see you! Next time we have to get the guys together, too. your pieces are gorgeous! how lucky to have taken a class with Hadar. I love the hot riveting pieces.